IR UWB system has been proposed as a promising physical layer candidate for indoor wireless communications, because it offers very fine time resolution and multipath resolvability. Inter pulse interference (IPI) is one important challenge related to the transmit reference (TR) IR UWB receiver. In this paper, an attempt to completely remove the IPI problem in TR with increasing the data rate. This is achieved by using orthogonal codes generated from modified version of Hadamard matrix via the application of the reference sign technique, i.e., by modulating the reference pulse besides the already data modulated. تم اقتراحَ نظام (IR-UWB) كمرشّحَ للطبقةِ الفيزياوية للإتصالاتِ اللاسلكية للشبكات الداخليِة القصيرة ( WPAN) ، بما يمتاز به من مميزات تتعلق بَعْرض قرار وقتِ رفيعِ جداً وحلول متعدّدة الطرق. يعتبر التشويش بين النبضات (IPI) كأحد التحديات المهمُة في المستلمات نوع (TR- IR UWB ) والتي تتعلق بتقنية ارسال المرجع (TR) . في هذا البحث ، محاولة لإزالة مشكلةِ التشويش بين النبضات (IPI ) بالكامل لنوع المستلمات التي تستند على تقنية ارسال المرجع وبزيَاْدَة في سرعة ارسال البيانات. يمكن الحصول على هكذا انجاز بإستعمال الرموزِ المتعامدةِ ( Orthogonal Codes) المتولّدة مِنْ النسخةِ المُعَدَّلةِ مِنْ مصفوفةِ هادمارد عن طريق تطبيقِ تقنيةِ إشارةِ المرجع، وبمعنى آخر: . ، بتَنظمين نبضِة المرجع اضافة الى تضمين البيانات. The effect of reduction area for flat and conical dies in forward-backward extrusion process was investigated experimentally using flat punches with three reduction areas (0.305,0.444,0.605), 0.444 with cone angles (60o,90o,120o) and polygonal punches (hexagonal and square).Three reduction areas of dies (0.395, 0.555, 0.691) are used. The results show that the extrusion load is effected with reduction area of flat dies more than conical dies when using cone and flat punches while the reduction area of conical dies affected with square punch more than hexagonal punch and this result was inversed with flat dies. The relative extrusion pressure P/Y ̅ increases when the reduction area of conical and flat dies increases too for all punches, but this result contrasts with the square punch at conical dies.The less value of max. stress was found with cone punch of prism angle 120o among cone punches for conical dies except the die of reduction area (0.555) and the cone punch of 90o prism angle gave less max. stress with all flat dies. Flat punch of reduction area (0.444) among the flat punches gave less value of max. stress with all conical dies and flat die of reduction area (0.691). تم دراسة تاثير التخفيض في مساحة المقطع للقوالب المسطحة والمخروطية في عملية البثق المركب عمليا باستخدام مكابس مسطحة بنسب تخفيض في مساحة المقطع (0.305,0.444,0.605 (ومكابس مخروطية بثلاث زوايا (60o,90o,120o) ذات نسبة تخفيض ثابتة (0.444) ومكابس مضلعة الشكل (سداسي ، مربع) ذات نسبة تخفيض في مساحة المقطع متساوية (0.444 (.تم استخدام ثلاثة نسب تخفيض في مساحة المقطع للقوالب هى (0.395, 0.555, 0.691) .النتائج اظهرت ان حمل البثق يتأثر بنسبة تخفيض المساحة للقوالب المسطحة اكثر من القوالب المخروطية عند استعمال المكابس المخروطية والمسطحة بينما يتأثر حمل البثق بنسبة تخفيض القوالب المخروطية مع المكبس المربع الشكل اكثر من المكبس السداسي الشكل ، بينما تنعكس هذه النتيجة مع القوالب المسطحة . ان ضغط البثق النسبي (P/Y ̅) يزداد عندما تزداد نسبة التخفيض في مساحة المقطع للقوالب المخروطية الشكل والمسطحة مع كافة المكابس الا ان هذه النتيجة مختلفة في المكبس المربع مع القوالب المخروطية . ان ضغط البثق النسبي يتغير مع نسبة تخفيض المساحة للقوالب المسطحة مع المكابس المضلعة. In this research a theoretical study was presented to find the performance of the offset halves bearing which used in applications of high velocities ,like centrifugal machines, dentist tools and high precession machines. In studying the elastic deformation, three types of alloys have been used for coating the bearing surface. These alloys Cu-alloy, Al- alloy and Mg-alloy. And these show that the bearing material has a considerable effect on the essential bearing characteristics. The bearing made of soft material has lower performance than that made of harder material. In this work the bearing performance was investigated under the following conditions : 1-Elastohydrodynamic lubrication at a rotational velocity of 2000rpm and L/D ratios Of(0.5. )and (1) 2-Elastohydrodynamic lubrication at a rotational velocity of 15000rpm and L/D ratios of 0.5and (1). The results of analysis show that the offset bearing deformation (elastic deformation) has a considerable influence on the performance at a high eccentricity values (n>0.9) i.e. under high loa وقد تمت دراسة التشوه المرن لثلاث سبائك مختلفة وهذه السبائك هي سبائك النحاس ,سبائك الألمنيوم وسبائك المغنيسيوم ومن ثم مقارنة أداء المسند في الحالات التالية هذه الدراسة المقارنة لأستخدم السبائك الثلاث قد تمت تحت الظروف ألتاليه لكل سبيكة: العالية (15000دورة /دقيقة) مقارنة بالسرع الواطئة(2000دورة بالدقيقة). كما إن لنوع المعدن تأثير على سمات المسند,حيث إن المعدن العالي المتانة يتحمل ظروف عمل أقسى من تلك التي يتحملها المعدن الأقل متانة. 1-دراسة تأثير التشوه المرن في سطح المسند عند سرعة مقدارها 2000دورة /دقيقة ونسبتي طول إلى قطر مقدارهما 0,5و 1.. 2- دراسة تأثير التشوه المرن في سطح المسند عند سرعة مقدارها 15000 دورة/دقيقة ونسبتي طول إلى قطر مقدارهما0,5و 1. لقد أثبتت نتائج هذا البحث بأن التشوه المرن لسطح المسند ذو الانصاف الزاحفة له دور كبير على أداء المسند فقط عند قيم (n>0.9) بتعبير اخر تحت الاحمال الكبيرة. Buckling analysis of laminated conical shells under axial compressive load are investigated analytically using high order and Love ,s shell theories. Power series are used to solve the developed equations of motion for conical shells with different semi vertex angles, length- to – radius ratio, number of layers and boundary conditions. The validity of the presented procedure is confirmed.تحليل الانبعاج للقشريات الطباقية تحت حمل ضغط محوري تم بحثها باستعمال نظرية القشريات ذات درجة عليا ونظرية لوف للقشريات. استخدمت متسلسلات القوة لحل معادلات الحركة التي تم تطويرها للقشريات المخروطية لزوايا مختلفة , نسبة طول الى نصف قطر , عدد الطبقات والظروف الحدية. صحة هذه الطريقة تم تعزيزها. In order to investigate the alumina effect on the low frequency dielectric constant of fire clay manufacture from Iraqi clay. Fire clay products have been powder pressed with different alumina content ,sintered ,then dielectric constant and dielectric loss( tan δ) has been measured at low frequencies which extend from 30 kHz to 100kHz.There is a significant difference in their properties were observed between samples made with different alumina content added to the fire clay product where these differences were measured as a function of alumina content. This confirm that the insulating properties of the fire specimen from the electrical view point was affected by the crystallization of mullite and cristobolite . للتحقق من تأثير الألومينا على ثابت العزل الكهربائي لمدى الترددات الواطئة للمنتج الناري المصنوع من الأطيان العراقية حيث تم تشكيل تلك النماذج التي تحتوي على نسب ألومينا مختلفة (20%,15%,10%,5%) ومعاملتها حراريا ثم قياس ثابت العزل والفقدان العزلي لمديات التردد الواطئة (100kHz-30kHz) . حيث لوحظ وجود تحسن في خواص تلك النماذج (الفيزيائية والعزلية)بسبب زيادة محتوى الألومينا المضافة الى نماذج الطين الناري . وقد أعتمد في هذا البحث التغير في ثابت العزل الكهربائي كدالة لتغير محتوى الألومينا وهذا مايؤكد تأثر خاصية العزل الكهربائي من وجهة النظر الكهربائية بظهور كل من المولايت والكرستوبولايت كأطوار في تلك النماذج مما يجعل سلوكها كعازل مقترن بسلوك تلك الاطوار والتي عادة ما تتصف بثابت عزل منخفض . dielectric constant --- alumina --- fire clay --- mullite. In this work it has been attempted to study the kinetic of vanadium recovery from fly ash by leaching with NaOH solution from previous work of Mosa (1999). The selected data were chosen at particle size of scale between 125 to 200 µm, temperature 343 to 373 K, reaction (leaching) time up to 8 hours and at about fixed NaOH solution molarity (3 to 4 M).The results show that vanadium recovery increased with time and temperature and mostly decreased with particle size.A second order polynomial mathematical correlation was employed to describe vanadium recovery response. The correlation coefficient of the obtained correlation was 0.9990 and variance of 0.9981 with confidence levels of 95 %.Kinetic study shows that the chemical reaction is the controlling step which has the highest resistance among other steps. A chemical reaction order was found equals to -3 with activation energy of 1080 J/ mole and frequency factor of about 2.6884. اهتم هذا البحث بدراسة حركية استعادة الفناديوم من مخلفات حرق الوقود في محطات الطاقة الكهربائية بعملية الاستخلاص بواسطة هيدروكسيد الصوديوم من نتائج البحث السابق لموسى (1999). البيانات المحددة تم اختيارها عند حجم حبيبي يتراوح من 125 إلى 200 مايكرو متر ودرجة حرارة من 343-373 كلفن و وقت زمن الهظم من 1- 8 ساعات وتركيز مولاري ثابت تراوح من 3-4 مولاري . تشير النتائج إلى أن نسبة استعادة الفناديوم تزداد بزيادة درجة الحرارة وزمن الهضم ونقصان الحجم الحبيبي . استخدمت معادلة رياضية من الدرجة الثانية لوصف استجابة استعادة الفناديوم و وجد إن معامل الارتباط كان 0.9990 والتباين 0.9981 لمستوى ثقة 95 %. دراسة الحركية أظهرت إن الخطوة المسيطرة على العملية هي التفاعل الكيمياوى والتي تمتلك اكبر مقاومة من بين باقي الخطوات. كانت درجة حركية التفاعل هي -3 و طاقة تنشيط 1080 جول لكل مول وعامل تردد 2.6884. Vanadium --- Heterogeneous reaction --- Kinetics. This research deals with the effect of type and concentration of different polymer solutions on rheological behavior and apparent viscosity. All polymers studied in this work are water soluble, which are: XC-polymer, Carboxymethyl cellulose (two types), Hydroxyethyl cellulose and Polyvinyl alcohol. 55 experiments were performed with different polymer types and concentrations at 30 C (1 C). By using the Solver Add-in in Microsoft Excel®, the power law flow model was found to be the best fits the experimental results. The apparent viscosity of each polymer used at different concentrations was decreased with shear rates. It was found that XC-polymer solutions have higher shear stresses than other polymers. Also it was found that XC-polymer solutions have a higher viscosity, and its viscosity decreases much more than other polymer solutions used in this study. هذا البحث يهتم بدراسة تأثير نوع وتركيز البوليمر على الخواص الريولوجية للمحاليل المائية للبوليمرات وعلى اللزوجة الظاهرية. البوليمرات المستخدمة في البحث هي : XC - بوليمر , كاربوكسي مثيل سيليلوز (نوعين) , هايدروكسي مثيل سيليولوز , بولي فنيل الكحول. 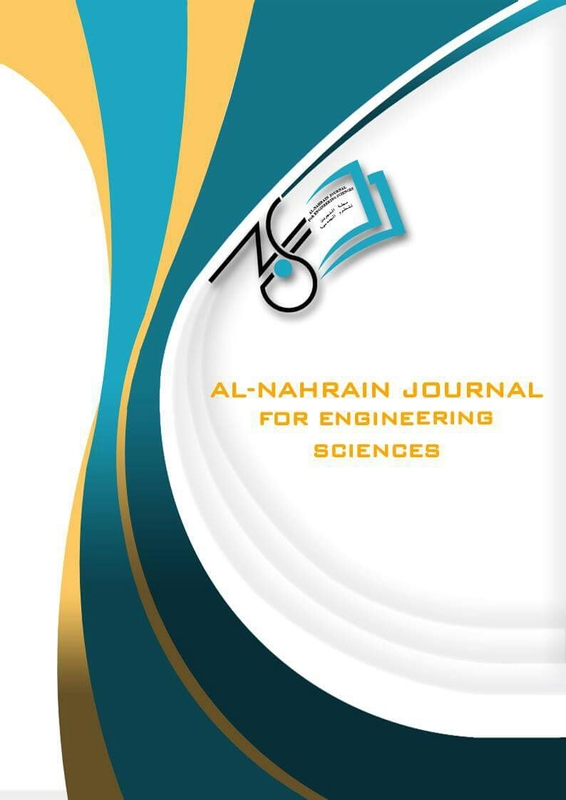 تم دراسة الخواص الريولوجية باستخدام جهاز (Fann VG-35A) وذلك بقياس اجهاد القص (shear stress) المصاحب لكل معدل قص (shear rate) . تم اجراء 55 تجربة بتراكيز مختلفة وعند درجة حرارة 30 م (  1 م ). تم استخدام برنامج مايكروسوفت ايكسيل لايجاد افضل نموذج رياضي يمثل النتائج العملية . وقد وجد بان النموذج رياضي الاسي (Power law) هو الافضل . وجد بان اللزوجة الظاهرية لمحاليل اليوليمرات تقل بزيادة معدلات القص. ايضا وجد بان محاليل XC بوليمر لها اجهاد قص اكثر من بقية محاليل البوليمرات. اخيرا وجد بان محاليل XC بوليمر لها لزوجة اكثر من بقية محاليل البوليمرات المستخدمة و بان محاليل XC بوليمر تقل لزوجتها اكثر عند تعرضها لمعدلات قص.